"I bet you had a hard time learning to spell that name in kindergarten." I think I have had this at least one thousand times in my lifetime. V-A-N-R-A-E-P-E-N-B-U-S-C-H. A fourteen letter last name. It intimidates most people when they attempt to say it for the first time. Yet, it is actually quite easy. Van (like the thing I drive my kids around in). Rae (like the rays of the sun). Pen (my sister and brother-in-law make great pens -- she was a Van Raepenbusch, but now she is a Gray). Busch (when I taught school I used to say, "like the plant" or you could say "like the cheap beer."). Van-Rae-Pen-Busch. The question that usually follows that first statement is, "What nationality is that name?" I respond,"It is Flemish." ("Flem, what?"). "My father was born in Belgium." Recently, I have learned more about my father's family's experience in coming to America. 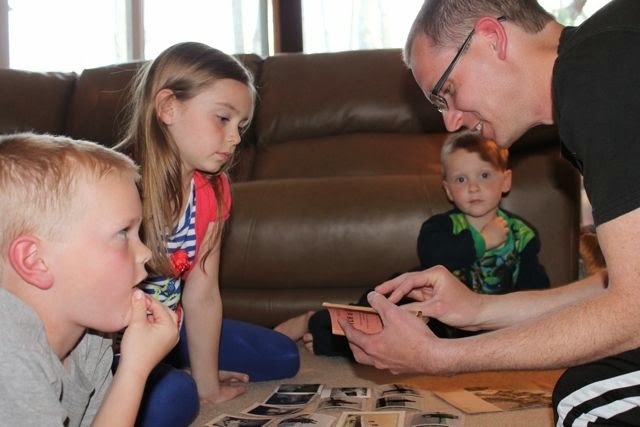 He was given a wonderful gift recently, when his extended family found letters from before his family came to America in 1953. He was only 2 1/2 years old when they made the voyage. 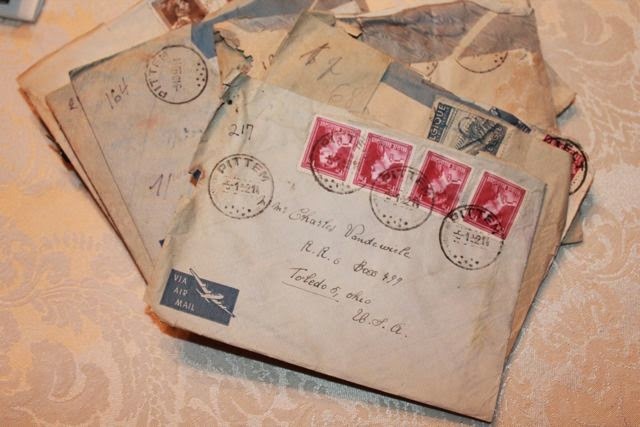 My family will be learning more soon, as the stack of letters sent between my grandmother and her sister before their voyage to America are currently being translated by a family friend! Over the Easter holiday, my mom and dad shared with my wife and I the letters, pictures and other mementos from the voyage to America. I asked to borrow a few of the items to share with my children for our birthday celebration for Amy Hest. Amy Hest is the author of over forty books including Kiss Good Night and The Purple Coat, both of which were awarded the Christopher Award. She grew up spending lots of time at the library with her mother, a teacher who loved recommending books to her. When Amy was a teenager she aspired to work in the library where she loved to pick out books. Through lots of persistence she landed a job as a library page. She kept this job until college where she earned a degree in library science and became a librarian. (Getting to Know Amy Hest, Children's Book Author). In 1982, she published her first book, Maybe Next Year and then in 1984 she published her first picture book, The Crack-of-Dawn Walkers. My children really loved In the Rain with Baby Duck which was a Boston-Globe Horn Book Award winner. Amy Hest's career has been filled with many other books (over 1,000,000 sold!) and many other awards. On her website she says, "I guess you could say, I LOVE writing books!" Amy Hest states on her website, "I really, truly care about families. And people in families. And how they solve their problems. So, I mostly write about these kinds of things. I truly care about, and worry about, the people I write about." (Amyhest.com). This quote made me think about my father's family's own problems, as they traveled to America. I asked my father, "Why did grandma and grandpa decide to come to America?" He responded simply by saying, "They were really poor." We are hoping the letters will help us learn how they were able to acquire the 50,000 francs necessary to come to America. 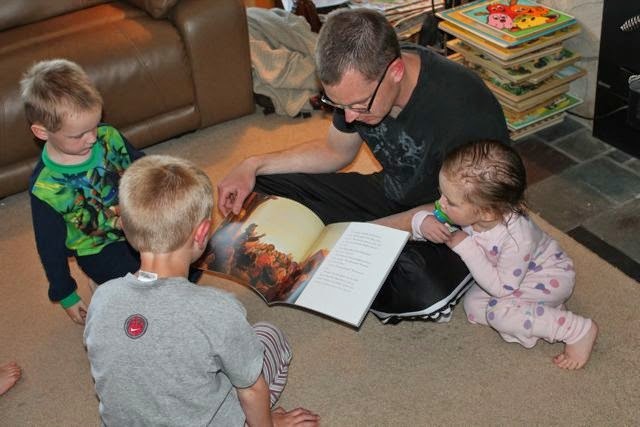 I read When Jessie Came Across the Sea to my children, which is set 50-70 years earlier than when my father and his parents came to America. Jessie was only 13 years old and was sent alone to America by her rabbi whose brother had just passed away. The rabbi was supposed to make the trip to America but felt he couldn't leave his people. Therefore, he felt that Jessie should go in his place as her talent of sewing lace would help his brother's widow in her dress shop. Jessie made the voyage leaving her grandmother behind, on the ship she met a friend named Lou, and established herself in New York City working in the dress shop. After three years, she happened upon her friend Lou from the ship and they fell in love. However, Jessie needed someone very special to her to come to America before she could marry. 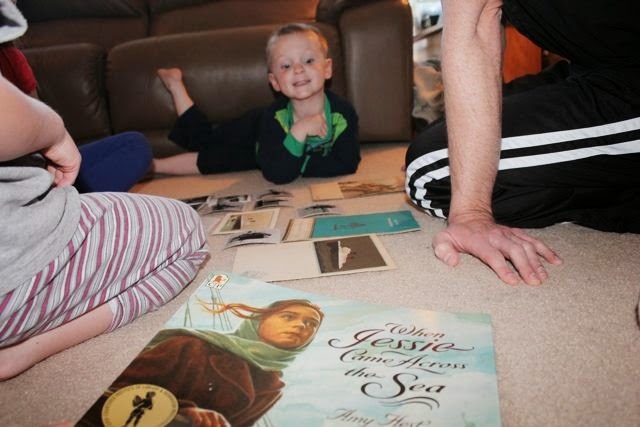 After reading the book, I was excited to show my children a picture of the ship that their great-grandparents and grandfather traveled on to America. We found their names on a pamphlet that listed the passengers that were on the ship. We looked over the daily food menus from journey. Then, we looked at many photographs. 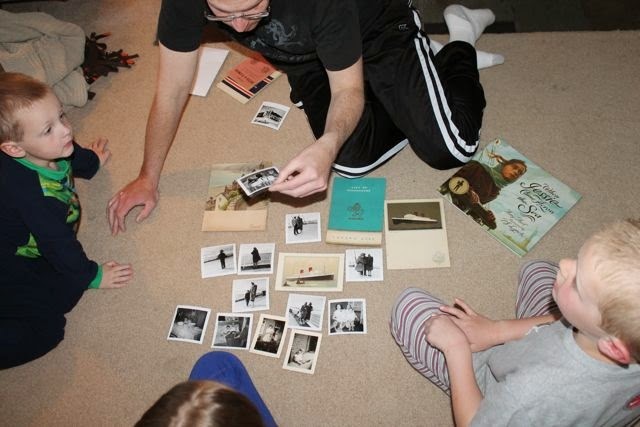 This was the first time that they had seen photographs of their great-grandmother. 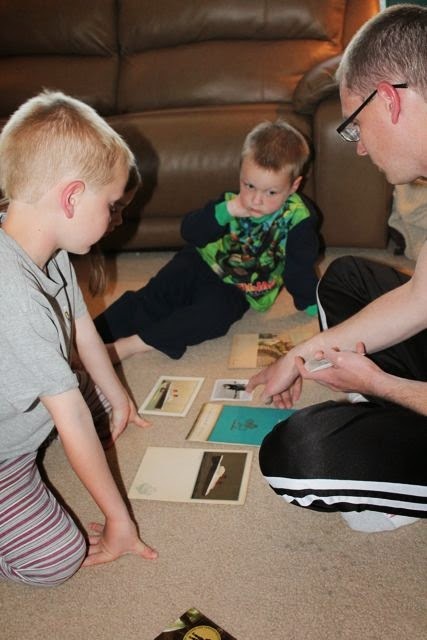 My youngest son was excited to see pictures of his great-grandfather who he is named after. 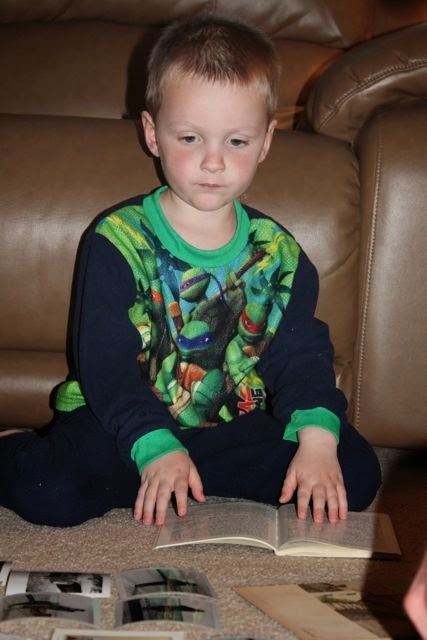 He also looked through the "How to Become a Citizen of the United States" book. We enjoyed reading through a conversation translation manual too. 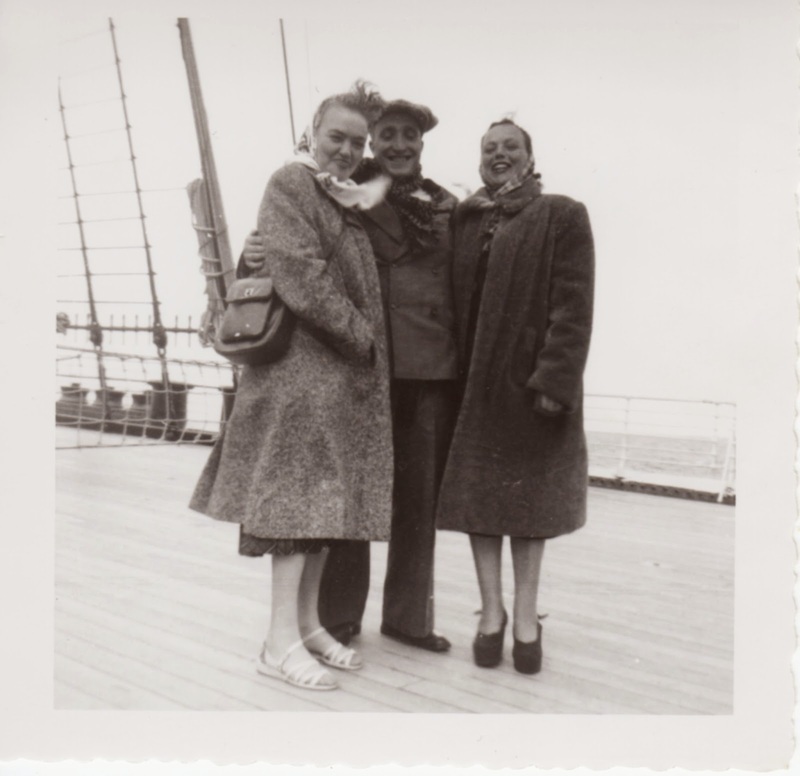 This is a photograph of my great-aunt, grandfather, and grandmother on their voyage to America. My great-aunt and great-uncle made this life changing transition possible for my grandparents. I include this picture because when I asked my dad if he recalled anything from the 5 day voyage on the ship. He said, "I only remember my dad's hat. It blew overboard." 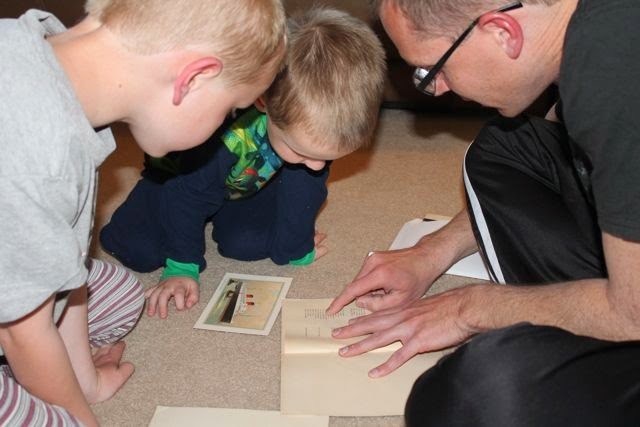 Maybe by this time next year we will have uncovered more family history that we will be able to share with you. Until then, enjoy reading a few books written by Amy Hest! 1. Amy Hest's website - more about Amy here!